I originally intended this project to be a card but after it was completed I decided to keep it as a table decoration. It looks so cute on my kitchen shelf. I was inspired to create this project by Fantabulous Cricut Challenge blog. They asked us to Create a project using Black & Purple as your main colors. I used the cricut Happy Hauntings cartridge and cut the witch at 4 inches with all her layers. I made a step card and attached her, the title and the ghost from the same cartridge to the first and top steps. I added google eyes and embossed the broom with the swirls folder and my cuttlebug. 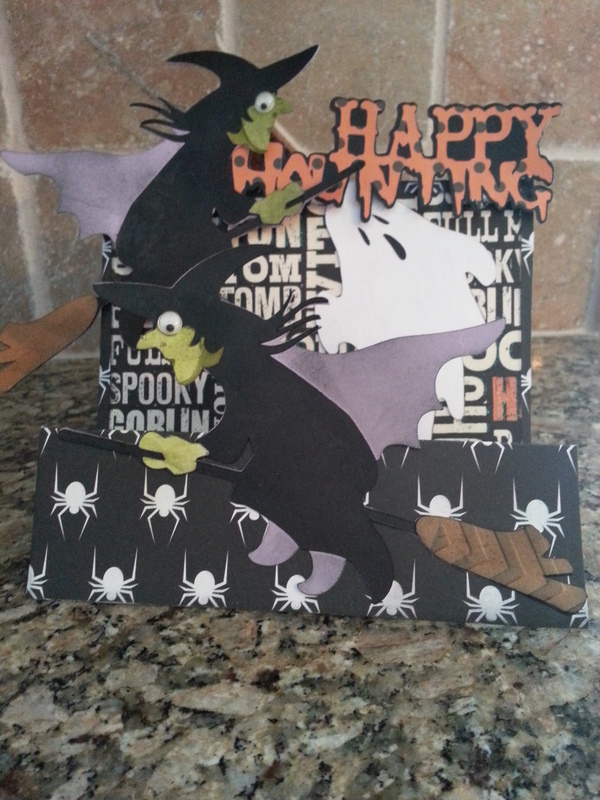 The paper is from a Halloween pack I purchased at Michaels last year. Wonderful decoration! Great use of the Happy Hauntings cartridge! Thanks for joining us at FCCB this week! Great table decor, I like the papers! Great job!!! 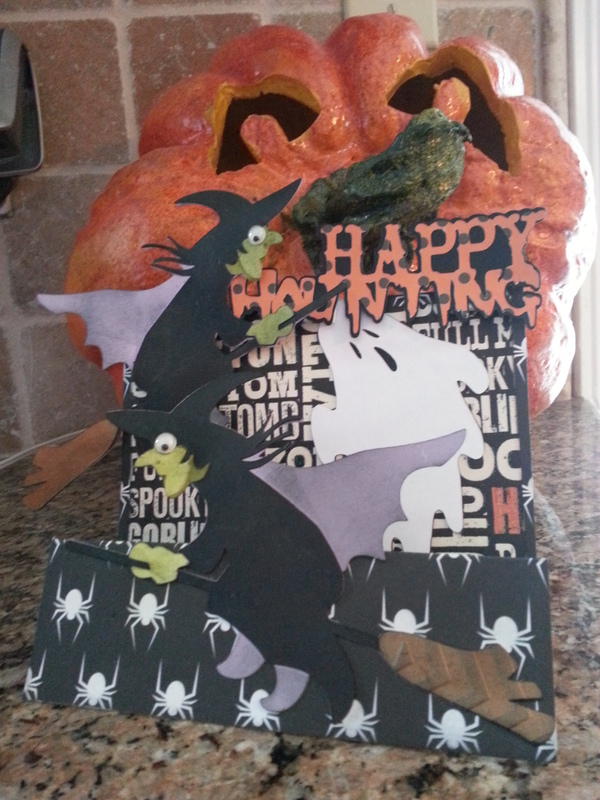 LOVE the step card and your witch flying on her broom is perfect! What a fun table decoration! Thanks so much for joining us at FCCB this week!! !